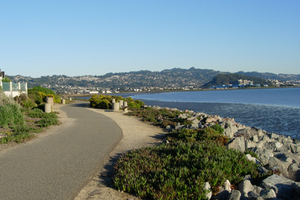 Over 350 miles of the planned 500 mile San Francisco Bay Trail are in place, covering 47 cities and 9 counties. There are some extensive sections in the East Bay. We’ve broken it into a couple of distinct sections. The 12-miles from Emeryville to Richmond is all off-road and mostly lovely, with some great water views and wonderful parks. There are a couple of not as pleasant and industrial sections. There are good options for some attractive add-on loops. 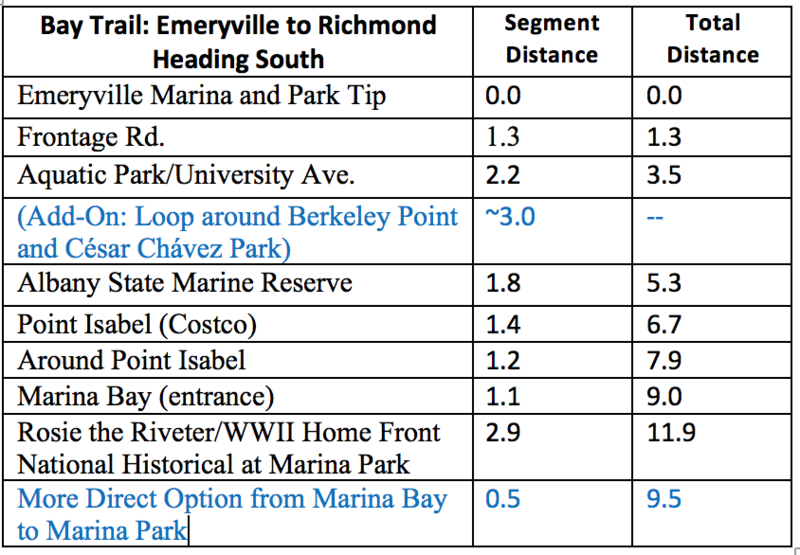 Starting in at the tip of Emeryville Marina and heading south, we’ve put together a route map and a table with segment distances. There’s about a 2 mile section that parallels Rt. 580. At University Ave. in Berkeley, there’s an opportunity to do a really nice extra loop around Berkeley Point and César Chávez Park (adds ~3 miles). In Albany, it’s an extra 0.5 miles each way out to Albany Bulb. 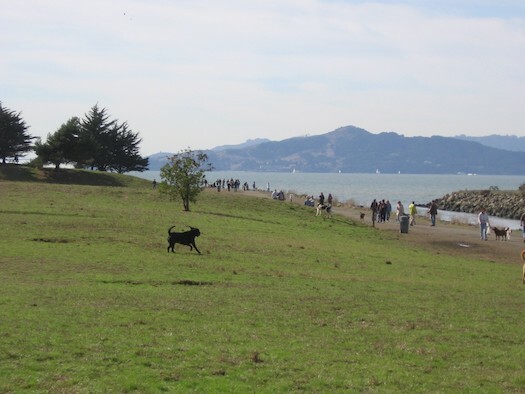 The ~6 miles between Point Isabel and Richmond are some of the nicest sections, including a jaunt down to Barbara and Jay Vincent Park, around the Inner Harbor Basin to Marina Park, and ending at the Rosie the Riveter/WWII Home Front National Historical Park. Note: A path across the Richmond-San Rafael Bridge is scheduled to be completed in 2017.